The management of the Alvan Ikoku Federal College of Education (AIFCE) has announced the date for the 40th Matriculation Ceremony. Alvan Ikoku Federal College of Education Owerri will hold her 40th Matriculation Ceremony on 14th March, 2018. Alvan Ikoku Federal College of Education Matriculation Fees Payment Procedure. 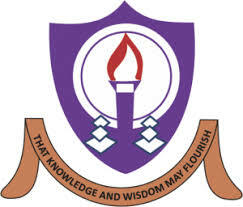 Log onto www.alvanikoku.edu.ng and click on Student Portal to generate their Matriculation Fee Invoice. Pay the Matriculation Fee with your IPR invoice. Payment must be completed on or before 13th March 2018. Students must show evidence of payment (Receipt) before signing the Official Matricula or cease to be a student.